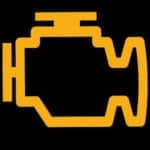 There are hundreds of different warning light symbols and signs in modern cars. Because of the advanced control systems, there are a lot of control units in a car. The control units need a way to inform the driver that there is a problem with the system and therefore we got a lot of different warning lights. But what do all these symbols mean and what should I do when one of them appear on my dashboard? Do not worry, in this article you will learn the meaning of the most common warning lights. 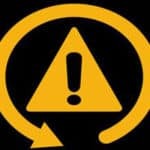 If you can’t find your warning light on this list, I suggest you check your repair/service manual for further information. Different cars can have a slightly different look of their symbols. 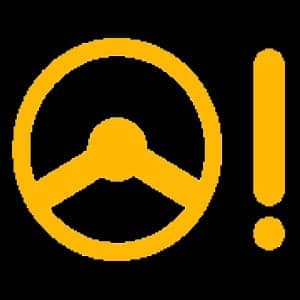 This is just general symbols that appear in the most common vehicles on the market. What it means: The Engine/Check engine light means that there is a problem with your engine. This light appears when there is a trouble code stored in your engine control unit. 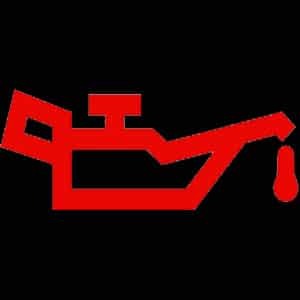 You can find this sign in a lot of different shapes like “Check Engine” and other informational texts. How to solve it: To repair this problem, you have to find out what the trouble code in the engine control unit is telling us. To read the trouble code memory, you have to use an OBD2 scanner to read it. You can either do it at home or let a repair workshop check the trouble code memory for you. If you want to read the trouble codes at home, you need an OBD2 scanner. Some easy fixes are to check all fuses, and check for any vacuum leaks around the intake and make sure that your gas tank cap is tightened correctly. How serious is the check engine light? The check engine light can mean a lot of different problems with your engine. If the problem is not serious, you can keep the drive with it but keep in mind that when the engine light is on, your engine may shut off essential functions like diesel particle cleaning functions. Always check your trouble codes to make sure if you can keep the drive with it or not. In some cases, there could be a serious problem that could damage your engine if you ignore it. What it means: This warning light can have a lot of different meanings depending on which car model you have. In most car models, it says that there is a minor problem with your engine. 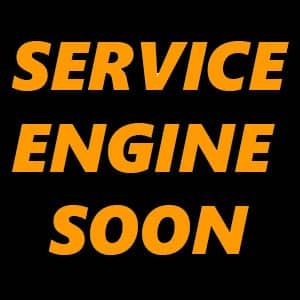 In some cars, it’s just a warning light that is telling you it’s time for scheduled service (like oil replacement, spark plug replacement, etc.). How to solve it: Start by checking all the fluids in the engine bay. Check oil level, transmission fluid level, brake fluid level, washer level, etc. You should always check that all your lights on the vehicle are working properly. If everything is ok, you should check when the latest service was done and if it’s time for a new service. If all this is right, you have to read the trouble code memory to figure out the problem. If you want to learn more about this warning light, you could check our article Service Engine Soon. 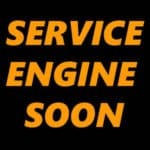 How serious is the service engine soon light? The service engine soon light is often lightened up because of minor engine problems and are in most cases safe to drive with. But, You should read the trouble codes and fix it as fast as possible, but it will not hurt your engine to drive the closest way to a repair shop. What it means: This light indicates that a low voltage is detected. 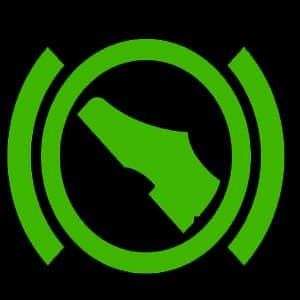 This light should be ON when you are just standing on ignition, but if this light appears when you are idling or driving, It means that the alternator is not charging your car battery properly and your vehicle may stop suddenly. How to solve it: To fix this problem, you have to measure the voltage the alternator is charging the battery on idle. To measure the voltage you need a Multimeter. A fast an easy trick you can test if you can reach your alternator is to give it a small hit with a hammer when the car is on idle to see if the light disappears. If the light fades after the run, it means that the coals in the alternator are worn out and they have to be replaced, or in most cases, replace the whole alternator. How serious is the battery light? The battery light is red, and when this light is on, there is a chance that your alternator is not charging and your car battery will be drained. 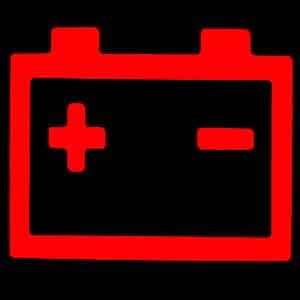 If your car battery is getting drained, the car will stop, and you will not be able to start it again without external power. If the light comes up, drive the shortest way to a safe spot to call for towing of your vehicle. 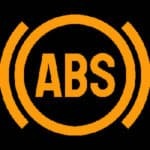 What it means: This light means that there is a problem with the ABS (Anti-lock Brake System). When this light is on, the ABS function is disabled. The ABS control units use a wheel sensor at each wheel to check the speed of each wheel. 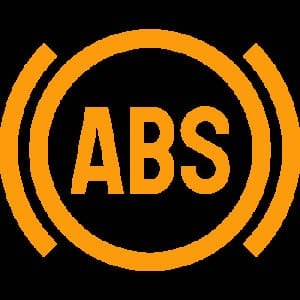 The ABS is made not to lock your brakes entirely when you are panic brakes your vehicle. If you lock all four wheels due to hard braking, you can’t steer your vehicle. If you want to learn more about this light and system you can check out our other article ABS Light. How to solve it: To get rid of the ABS Light, the easiest way is to read your trouble code memory. In most cases, there is a problem with an ABS ring, sensor or the wirings to it. But to find the right wheel to troubleshoot you have to read the trouble codes with an OBD2 scanner. You can also check the fuses for the ABS control unit. How serious is the ABS Light? When the light is on, the whole ABS function is shut off, and it is not safe to drive with if you are not familiar with it. The light will most likely not damage any other parts, but it is a traffic security question. 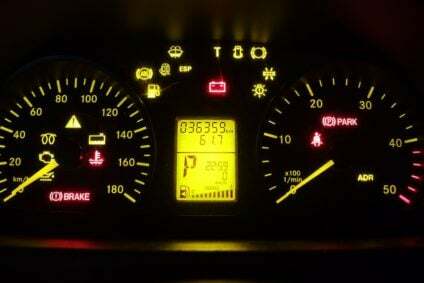 What it means: This light means that there is a problem with your Airbag / SRS control system. When this light is ON – the airbag control system is completely disabled, and you won’t have any airbags saving you in an accident. That’s why I always recommend fixing this problem as fast as possible. If you want to learn more about the airbag systems you can check our other articles: Safe to drive with the airbag light on? And What does the SRS light mean?. How to solve it: When the airbag/SRS light is on, it means that there is a trouble code stored in the airbag control module. The easiest way to fix this is to read the trouble code memory to find the trouble code. You have to use an OBD2 scanner to read the airbag control system. Note: The most cheaper obd2 scanners can only read the trouble codes of the engine control unit, if you want to read the airbag control unit you may need a more advanced one or let a workshop read it for you. A common cause for the airbag light is the connector under the driver or passenger seat. 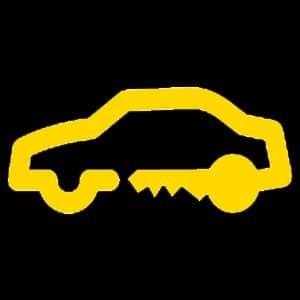 If you noticed that the airbag light appeared when you were moving the seat, it is most likely bad connection in the connector under the seat. Take it apart and clean it and erase the trouble code memory. How serious is the airbag light? When the light is on, your airbag system is out of function, and the airbags will not deploy in case of an accident. That’s why I recommend to repair it as soon as possible, but it will not damage anything more if you keep driving with it. What it means: This warning light means that there is a low level of washer fluid in the reservoir. How to solve it: The first thing you should do is to fill up the washer fluid reservoir. Note that in some cars you can have two washer reservoir(One for the headlight washer) and you may have to fill up both of them. Check your service manual if there is more than one reservoir. If you are living in a cold country, always make sure that you are using the right mix of washer fluid and water. If you have filled up the reservoir but the light is still on, there might be a problem with the level sensor of the washer fluid or a wiring issue to the sensor. It can also be a wiring problem between the sensor and the dashboard or a faulty dashboard. How serious is the Washer fluid light? The washer fluid light is not very serious to keep driving with. What will happen is that you may run out of washer fluid and you can not clean your front or rear windshield. It will not damage any other parts if you keep driving with the light on. 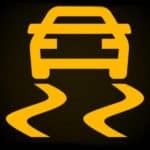 What it means: This warning lights means that there is a problem with your traction control system. The traction control system uses the ABS wheel sensors to feel the speed of each wheel and reduce the engine power if one wheel is spinning or slipping on a slippery surface. You can often find these warning lights together with the ABS light because the systems are working together and uses the same wheel sensors. How serious is the traction control light? When the traction control light is on, your anti-spin and traction control will not work, and it can result in an accident if you are not familiar to drive without it. That’s why I recommend repairing the problem as soon as possible. It will most likely not damage any further parts if you keep driving with the light on. 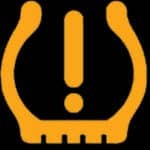 What it means: This warning light means that there is a problem with your TPMS (Tire pressure monitoring system) or that one of your tires do have a low tire pressure. How to solve it: To fix the Tire pressure monitoring system light, you should first make sure that you have the correct Tire pressure in all your tires. You can find the correct tire pressure in your service manual or at the body when you open the driver’s door. After you have filled the tire pressure light, you have to reset the TPMS system. To reset the TPMS system several ways are depending on what car you have, some vehicles you just have to drive it for 15 minutes, and some cars do have a button for the reset. Check out this article for possible reset situations: TPMS Reset. If you can’t get this light off and the tire pressure is correct, there may be a stored trouble code in the tire pressure monitoring system. It can be a fault like the control unit does not get communication with one of the sensors. If you have replaced your tires, you may need to reprogram the new sensors to the control unit with a TPMS tool / OBD2 scanner. How serious is the TPMS Light? If there is a sensor or programming, reset the problem causing the light to show up, it will not damage your car if you keep driving with the car. 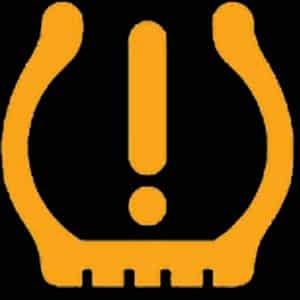 But a showing TPMS Light could also mean that you have a flat tire. Check your tire pressure when the light is on. What it means: This warning light could mean two different things depending on which car model you have. It can mean that there is a problem with the monitoring system for the Diesel particle filter or it can mean that the diesel particle is full and it’s time for scheduled service maintenance. How to solve it: First you should check if there is time for a scheduled service for your vehicle. Some cars have scheduled service for a replacement of the diesel particle filter (Like BMW). 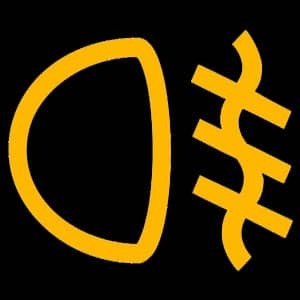 If you get this warning light together with an engine light, there is most likely a faulty sensor for your particle filter. To find which sensor you have to read the trouble code memory of the engine control unit. If you are only driving short distances, this light can light up if there was a long time ago a particle filter regeneration was done. When you are driving, your car is making regenerations itself when the engine is hot, and you are driving for long distances. 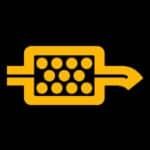 If you are only driving short distances, you may need to connect a diagnostic scanner and do a manual regeneration. How serious is the Particle Filter light? If the particle light just showed up, it will not damage your car if you are not driving too far with it. When the particle filter light is on, the cleaning processes of the particle filter will be shut off, and it may cause your particle filter to clog up the filter entirely and your car will stop. If it’s a sensor problem, it can also fill up the diesel particle filter if you are driving too far with it. I recommend to check it at a repair shop as fast as possible. 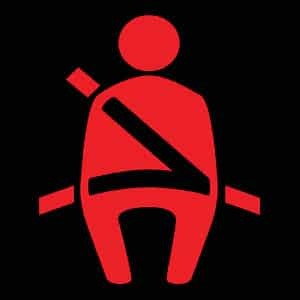 What it means: This means that one or several seat belts are not fitted correctly in one of the car seats. How to solve it: Typically you just have to connect the seat belt for every person that is inside the car. Some vehicles use load-monitored sensors in the back seat and passenger seat to see if there is a person sitting there. If you put a lot of stuff on the seat, you may have to connect the seat belt there to get the light away. It could also be a faulty seat sensor or a faulty seat belt buckle that is causing this light to stay on. A small tip is to just remove the connector for the seat buckle to see if the light is turning OFF. In some vehicles it is the opposite, you have to short the two wires. Always check a wiring diagram for your vehicle before doing these experiments. 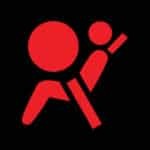 How serious is the seatbelt warning light? Even if the light is red, it will not damage your vehicle if you keep driving with this light on. It’s just an indicator of the seatbelts. What it means: This warning lights can mean two different things. Either that the coolant level is low or that the coolant temperature is too high and the car is about to overheat. How to solve it: To solve this issue, you should first check the coolant level in your coolant reservoir. NOTE: The coolant may be boiling and you should never open the cap if the engine is hot, it may cause serious injuries. If the level is low, fill it up and check carefully for any leaks of the coolant. Coolant should not disappear by itself, and you do either have an internal or external leak of the coolant on your engine. In some case, there can be minimal leaks and hard to find them. If the coolant level is OK, it can be caused by overheating and it needs a proper diagnosing. It can also be a faulty coolant level sensor that is causing this light to appear. How serious is the coolant temperature light? 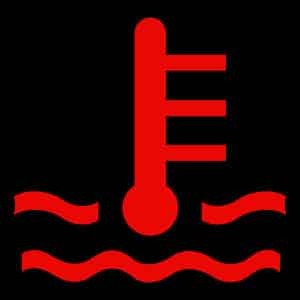 When the coolant temperature warning light shows up, you should always check the coolant level and stop your vehicle as fast as possible. If you keep driving with the light on, it can cause serious damages to your engine, which may result in an engine replacement. You can let it cool down and keep driving after a while if you have to drive to the workshop but always check the temperature gauge. 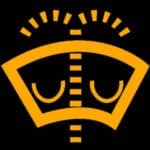 What it means: This warning light means that there is low oil pressure in your car’s engine. 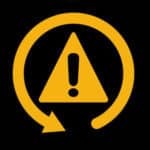 If you notice this warning light on your car, you should turn off your car’s engine as fast as possible. Low oil pressure can cause serious damages to your engine, and you may have to do a whole engine replacement. How to solve it: First you should check the level of your engine oil to make sure there is any oil at all in the oil sump. If the oil level is OK you have to do more diagnosing to your oil pressure problems. If you want to learn how to do a proper diagnosing of oil pressure and get possible symptoms and solutions, check out this article: Low Oil pressure problems. It does not have to be a low oil pressure problem, and there could be an oil pressure sensor problem or the wirings to it. But because of the serious damages, if you are driving your car with low oil pressure, it’s recommended to let an expert take a look at it. How serious is the oil pressure light? You should never drive with a red oil pressure light. If you keep driving with the light on, and the oil pressure is low, it may result in major engine damage. In most cases, you have to replace the whole engine if you drive with low oil pressure. It could also be a false sensor alarm and may not damage your engine, but it’s nothing to chance on if you are not sure it’s a sensor problem. 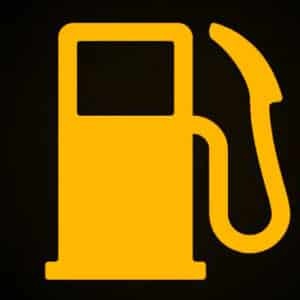 What it means: When the oil can is yellow, it usually does means that the oil level is low or the oil temperature is a bit high (Depending on the car model). How to solve it: You should always start to check the engine oil level at the dipstick of your car. If you can’t find your engine oils dipstick, check your service manual for the correct information. If the oil level is OK and the light is still ON, it can be a problem with the oil level sensor or the wires to it, and it needs proper troubleshooting. In some cars, you have to drive for a while to get the oil level updated if the vehicle is using an electronic oil level measurement. How serious is the oil level/temperature light? You should always check your oil level when this light appears. Low oil level is never good to drive with, and it can damage your engine seriously if the oil pump is pumping air instead of oil caused by a low level. If it’s a sensor problem, it will not cause any damages if you are driving with it. What it means: This light, you can find in cars with automatic transmission. The transmission is locking the gears when you are not pushing the brake, to minimize the risk of accident switching to the Drive or Reverse gear. How to solve it: This light should shut off when you are pushing your brake pedal and turn on when you are releasing it at the “Parking” gear. If the light is still on when you are pushing the break, and you can’t switch gears on the stick, there might be a problem with your Brake Pedal Sensor/Switch. it can also be other problems with the system, and it’s recommended to read the trouble codes of the transmission control system to find any stored trouble codes. What it means: This light indicates that the Fog Lights (Rear or Front, depending on the symbol) are turned ON. How to solve it: This light should turn OFF when the fog light switch is OFF. If it doesn’t turn off, there might be a problem with your fog light switch or any other type of electrical problem. To fix these problems, I recommend to connect an OBD2 scanner and read the trouble codes or take help of a skilled car electrician to find the problem with your vehicle. How serious is the fog indicator light? The fog light indicator should light up when the fog lights are on and are therefore not dangerous to drive with. What it means: This light means that the fuel level in your fuel tank is low and it’s time to refill it. How to solve it: Normally, you have to refill your fuel tank to make this light turn OFF. If the fuel tank is full and the symbol is still there, there might be a problem with the fuel level tank sensor or the wirings to it. It can also be an internal fault in your instrument cluster. To diagnose this problem, I recommend to let a skilled car electrician take a look at it. In many cases, the fuel level tank sensor can get stuck inside the tank, and it can help to drive and refill the tank a couple of times. How serious is the fuel level indicator light? If you keep driving with the light on and your fuel level goes to zero, your vehicle will stop. If it’s a fuel level sensor problem it’s not dangerous to drive with, make sure you have fuel in the tank all the time. What it means: This warning light indicates that the immobilizer could not recognize your car keys or that there is a problem with the immobilizer system. How to solve it: Normally, this problem will be fixed if you relock your car a couple of times. This light should turn ON after you turn your ignition ON for a couple of seconds (depending on the car model) and then shut off. An immobilizer problem is recognized by the car is starting for 2-3 seconds and then shuts off. If you can’t get the light off, It’s recommended to try with another car key if you have one. If it starts with the other key, there might be a problem with one of your car keys. For further troubleshooting of the car immobilizer system, I recommend to let a skilled automotive technician take a look at it and read the trouble codes of the immobilizer system. How dangerous is the immobilizer key symbol for my car? In most cases, the immobilizer light may cause your vehicle not to start, and you can’t drive with it. In this case, I recommend to tow it to a repair workshop as soon as possible. What it means: This warning light means that there is a problem with your Power steering system. You can find this warning light on models with an electric power steering. Some use an electric pressure pump and use the old style power steering rack, and some have an electric engine around the steering column. How to solve it: If you find this sign on a car with an electric power steering pump, you should check the level of the power steering fluid if possible. If the fluid level is ok, you have to check the trouble codes for your power steering control system. You can check the trouble codes with an OBD2 scanner. Remember that the cheap obd2 scanners can often only read the engine control unit and you may need a more advanced one to read the power steering control unit. A common problem for this light is a faulty steering wheel angle sensor or a defective fuse. How serious is the power steering light? It’s not recommended to drive with the power steering light ON, because if you lose your power steering, it can result in serious injuries. In some cases, there will only be a stored code, and the power steering will work fine, but it’s not worth the risk. Drive or tow it to a workshop as soon as possible. What it means: This warning light means that there is a problem with your Electric Power Control system. 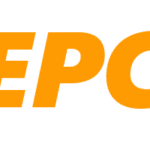 You will find this light in VAG cars – Volkswagen(VW), Audi, Skoda and seat and some other models that are using VW’s EPC system. The Electric power control system work with several different control units, like the engine, transmission, brake control unit. How to solve it: To solve this problem, you should read the trouble codes of your engine control module and your transmission control module. You can use an OBD2 scanner to read these trouble codes. 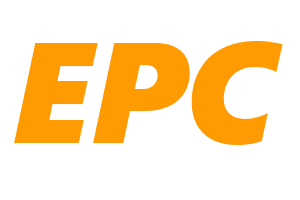 How serious is the EPC Light? You will often not have any symptoms with the EPC Light on, but in a lot of cases it comes together with the ABS light, and if the abs light is on, the abs functions will be shut off. Therefore it’s not recommended to drive with the EPC light on, drive or tow it to a car repair shop as soon as possible. There’s been a check light on my dashboard lit all day and I didn’t know what it meant, but thanks to you, I now know that it’s the engine check light. Unfortunately, I don’t have an OBD2 scanner, but I’m sure that a local repair service will be able to figure out the issue, and in the meantime, I can definitely at least check to make sure the gas tank cap is properly tightened. Maybe I can talk to the repair shop and see if they know where I could get an OBD2 scanner so that I can diagnose at home and take to the shop knowing how serious my problem is already.